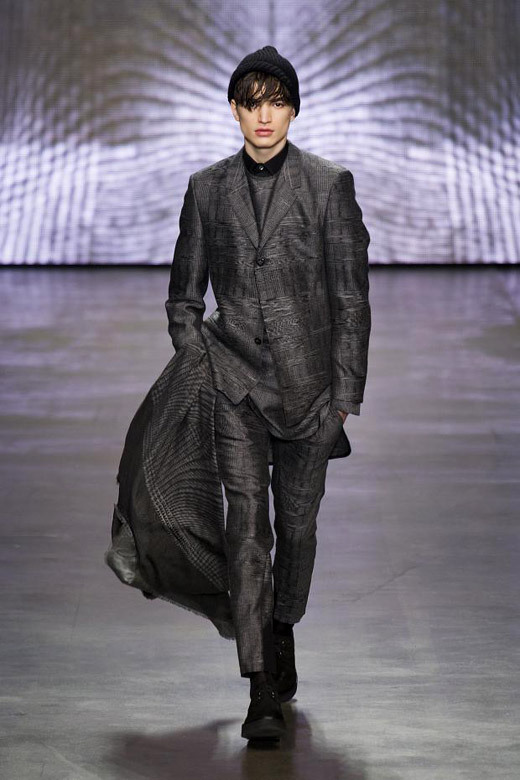 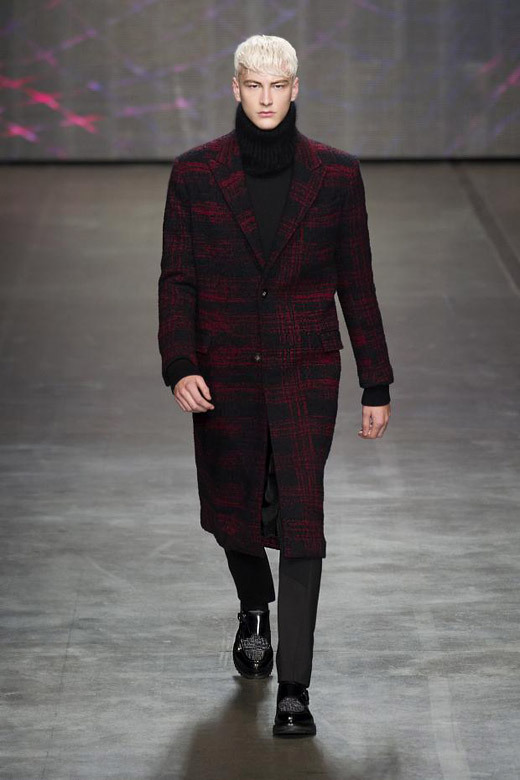 Federico Curradi, the creative director of Iceberg, has been inspired for brand's Fall-Winter 2014/2015 collection by Bruce Wayne - the famous philanthropist of Gotham City, who wears the tweed in his every-day life and high-tech clothes when he becomes Batman. 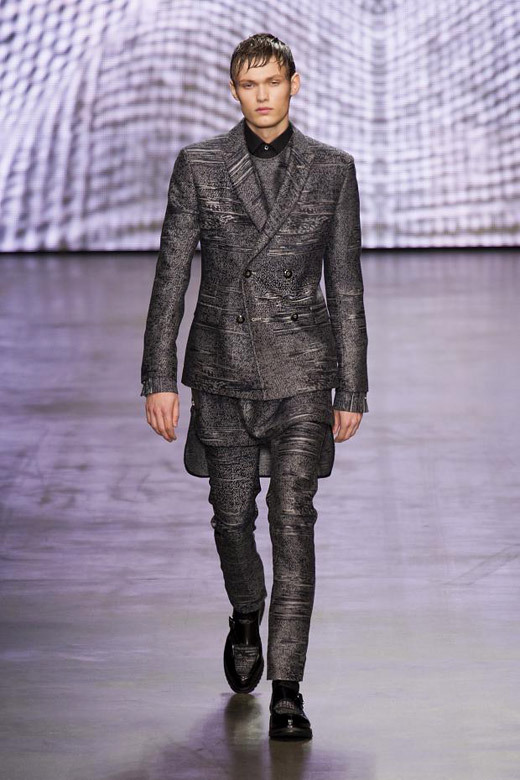 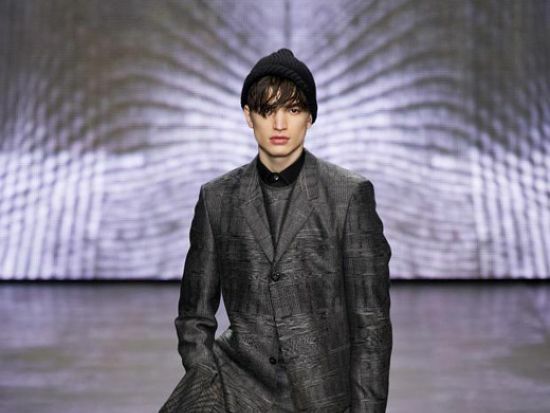 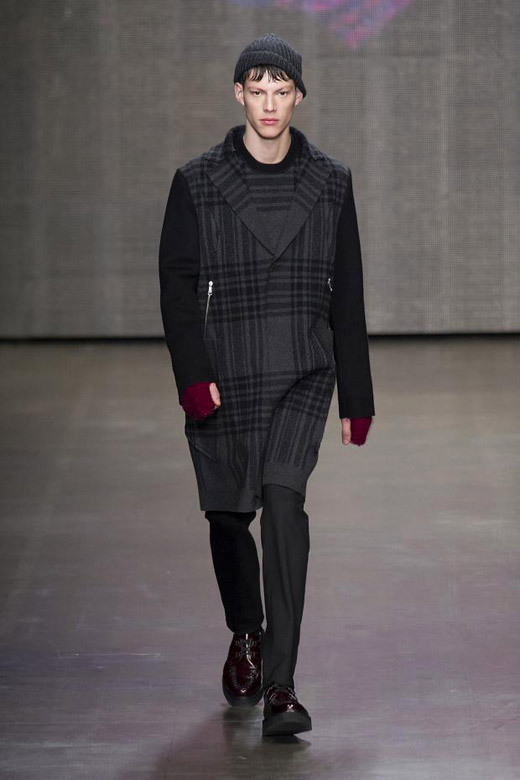 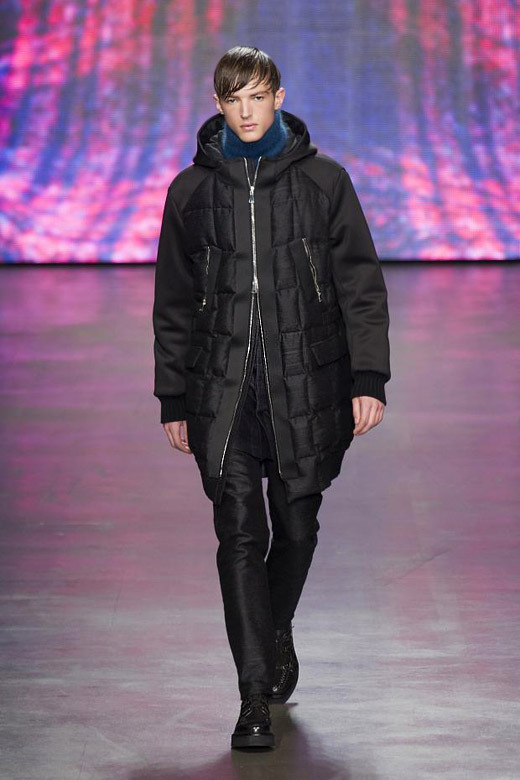 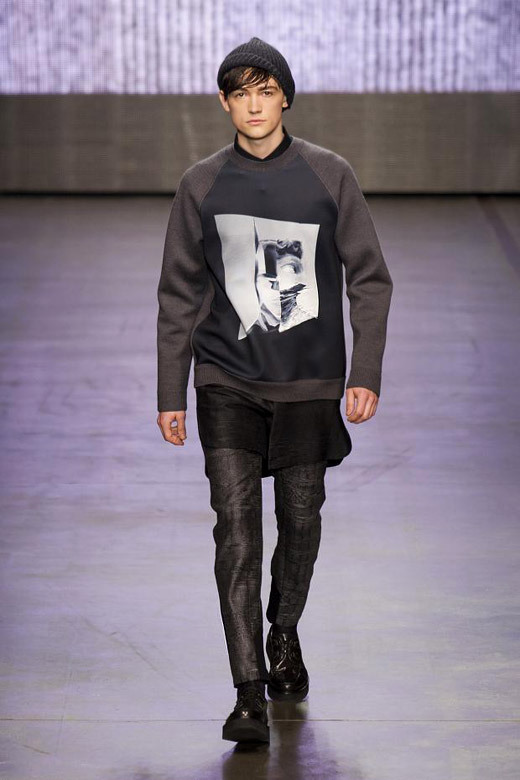 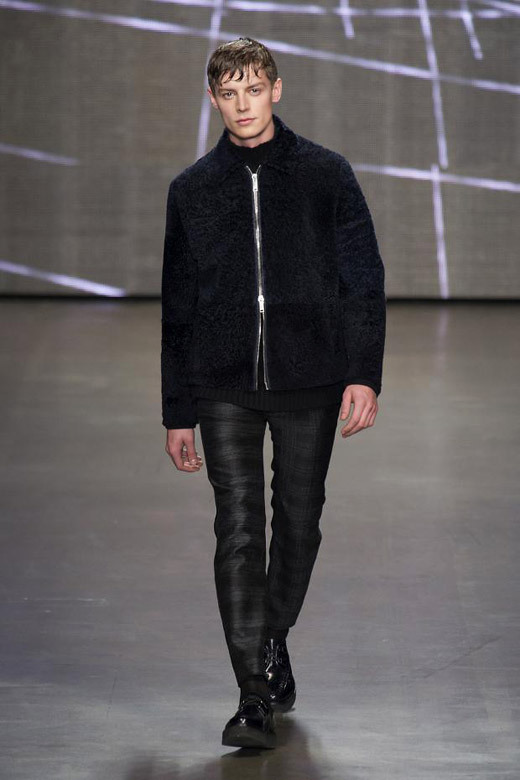 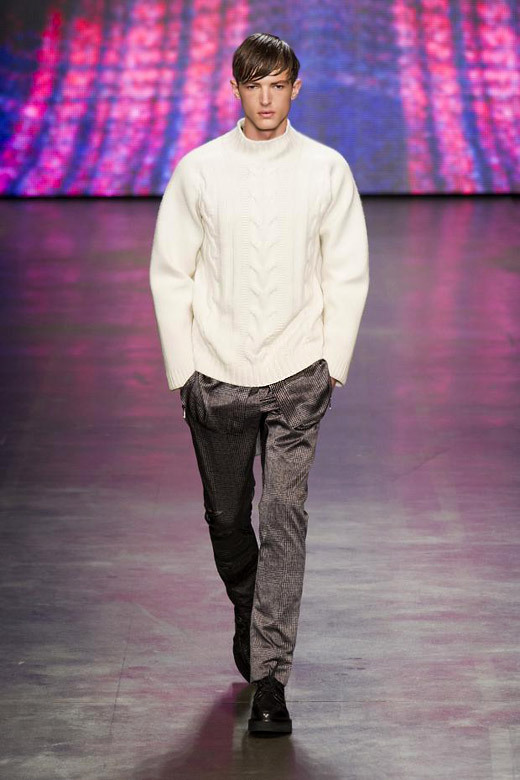 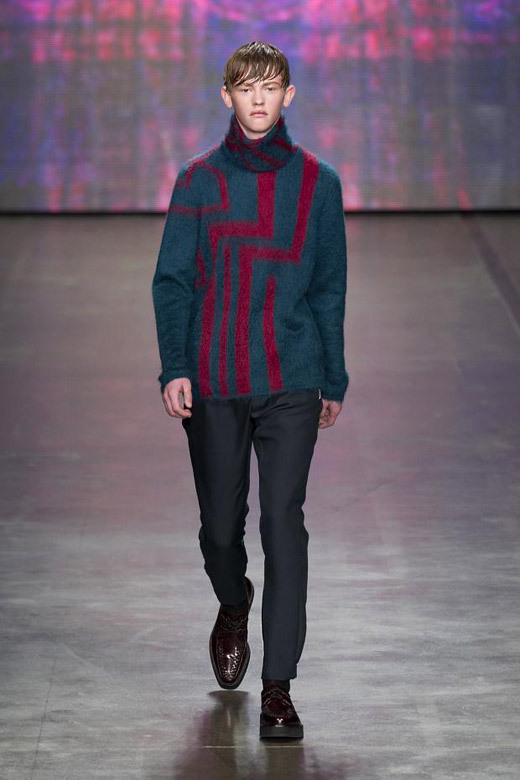 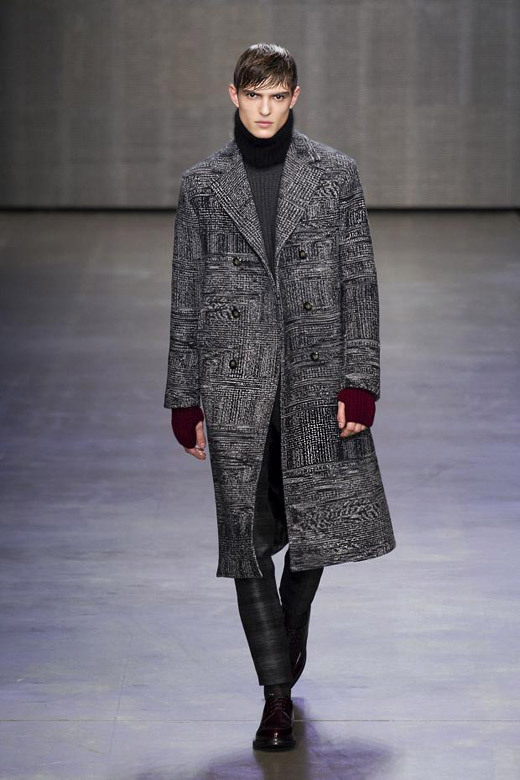 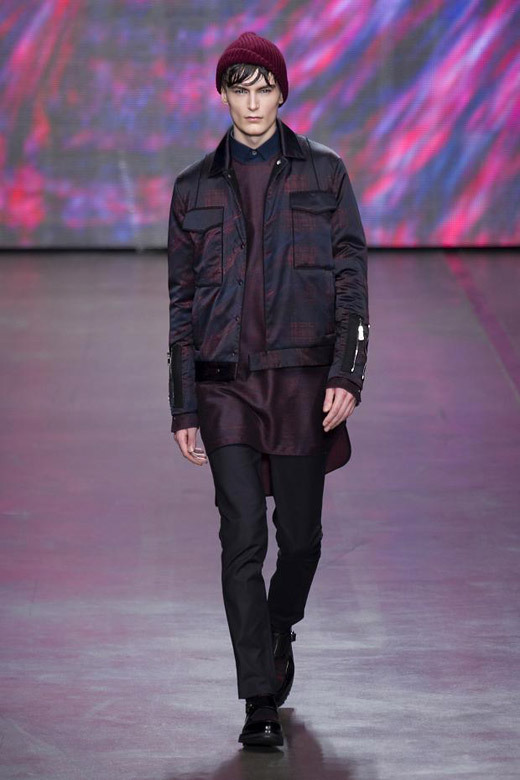 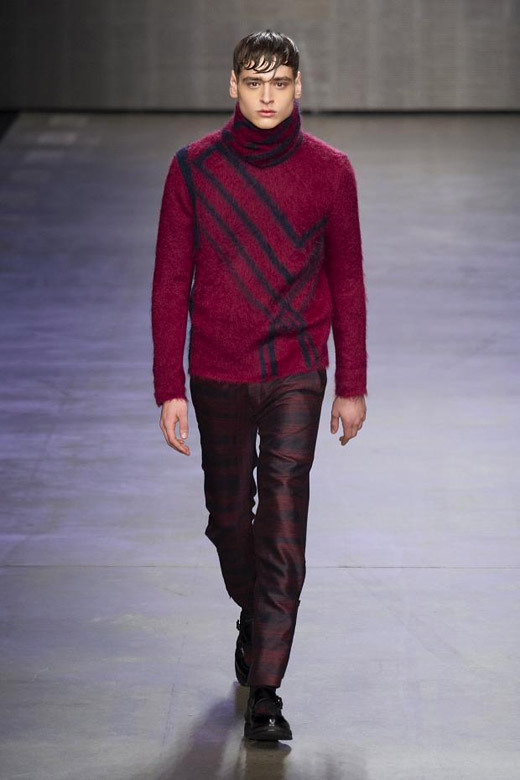 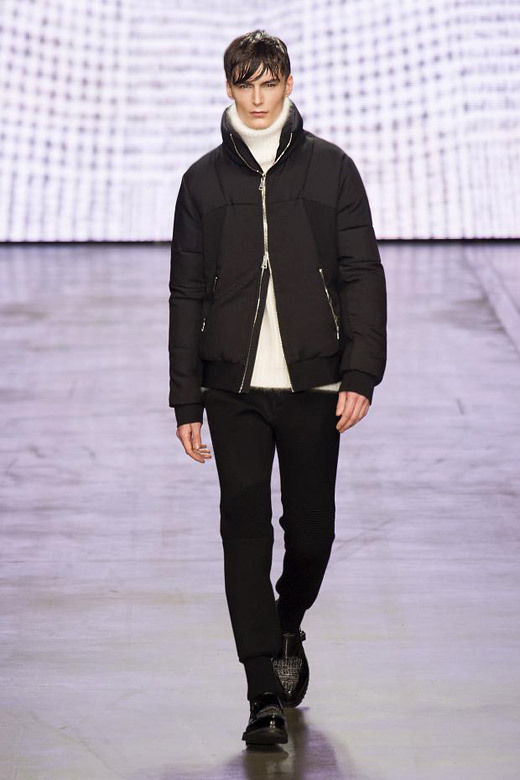 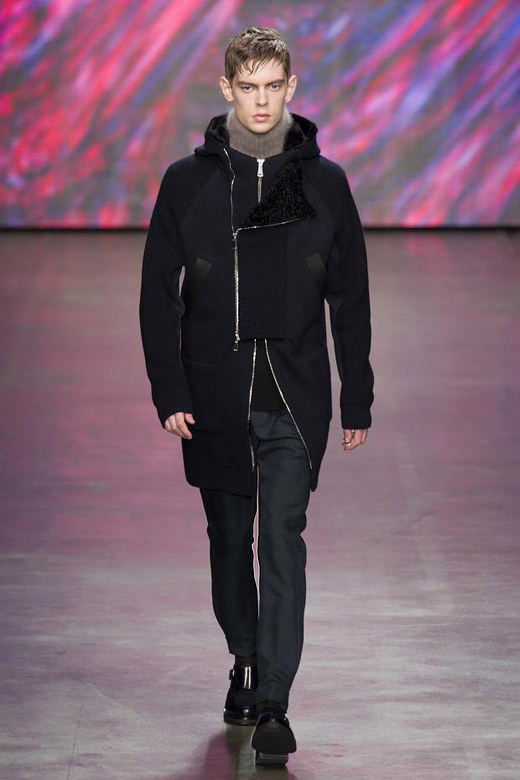 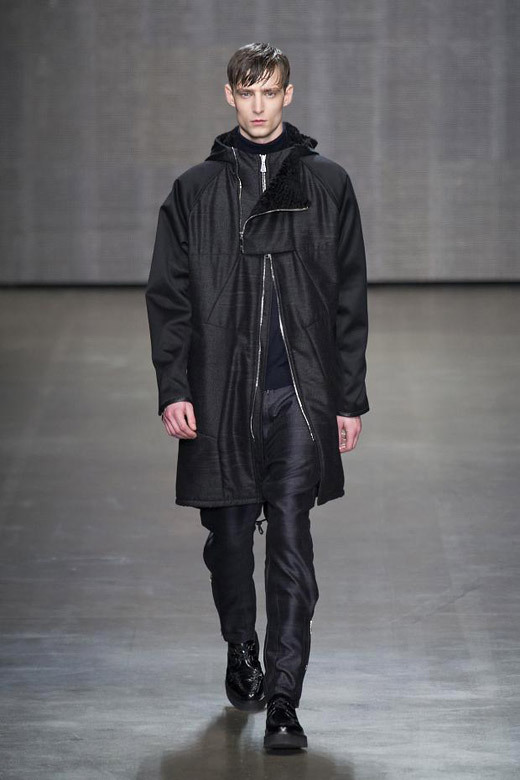 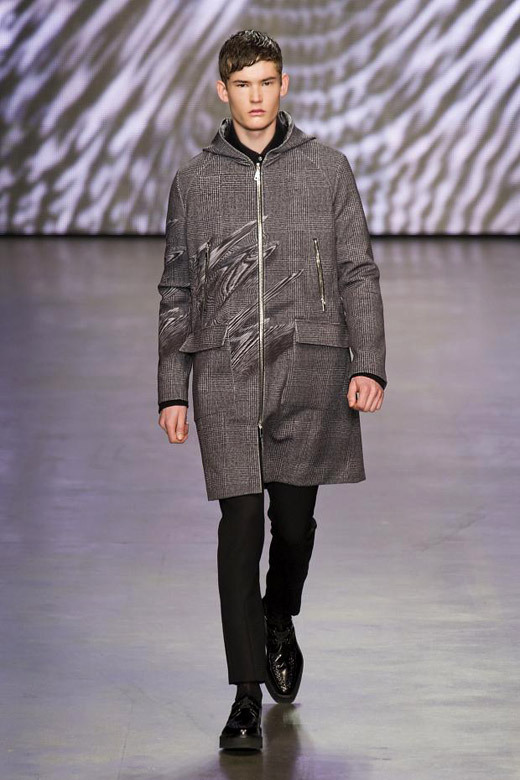 Stylist's second collection for 'Iceberg Uomo' is very urban and combines precious clothes with modern ones. 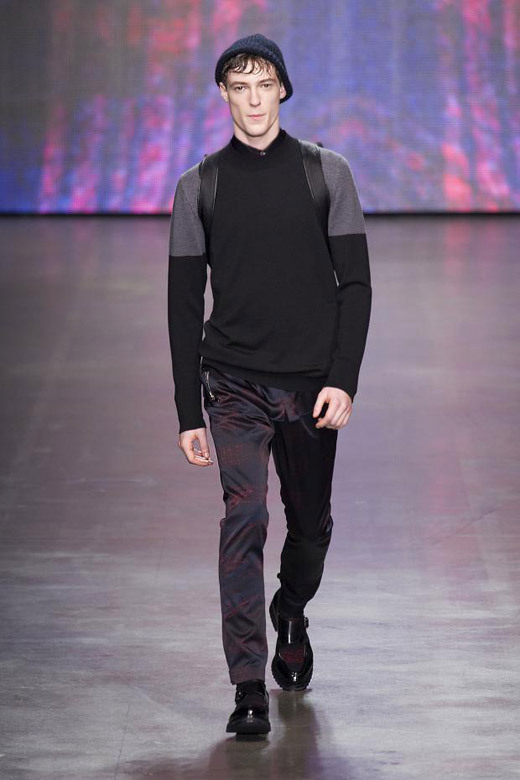 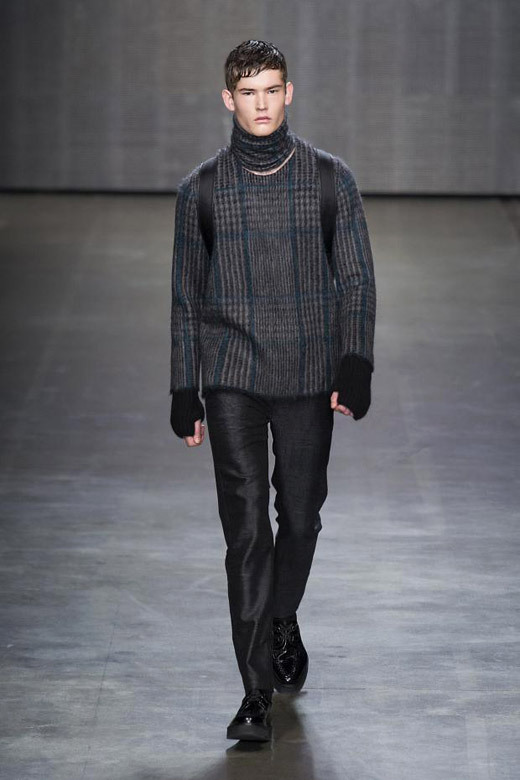 Iceberg Fall-Winter 2014/2015 menswear collection includes: layers, long chiffon semitransparent shirts, sweaters, pullovers, padded polyhedral jackets, luxurious knitwear with high quality yarn and craftsmanship, glossy fabrics, abstract all-over prints, tweeds, tartan checks. 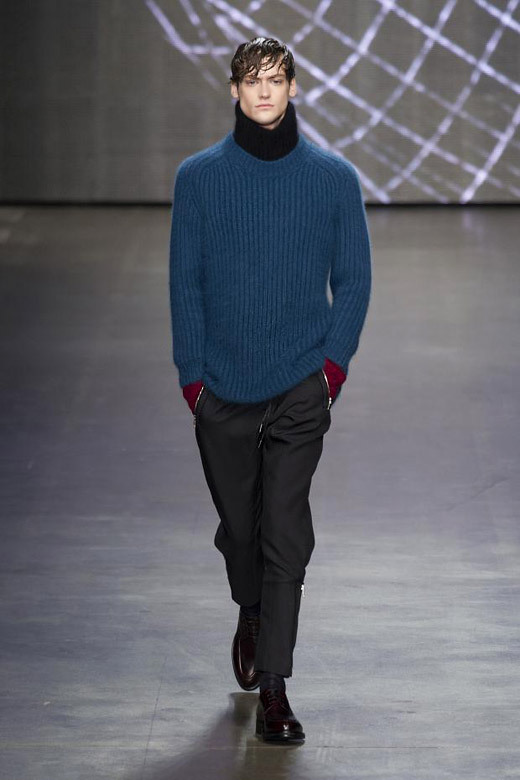 Color palette is both formal and contemporary and includes: black, burgundy, blue, vermillion red, gray, pale blue and white. 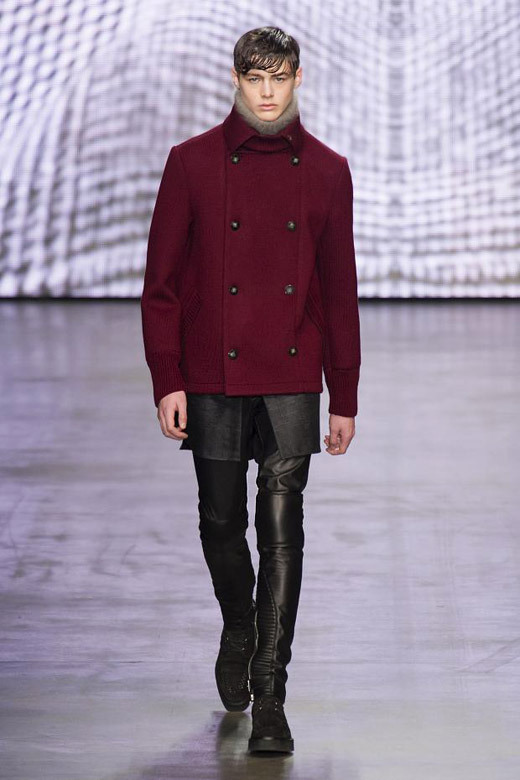 Used materials are: wool, padded nylon, silk, cotton, flannel, cashmere, jersey, tweed, mohair, leather, chiffon, satin. 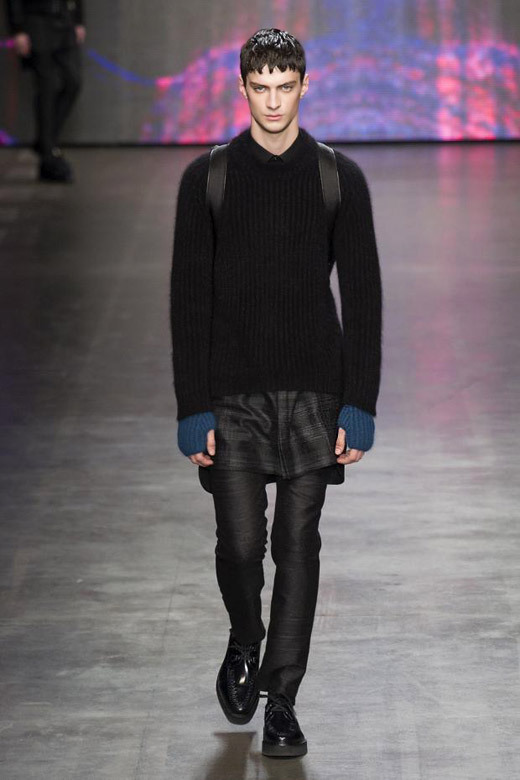 Accessories are made of leather berets, moccasins, creepers, bags.